Chicken Souvlaki Skewers a shot. They’re definitely one of our favorites! A few weeks ago, I was out in the yard doing a round of winter clean up. You know, picking up branches, taking down the Christmas lights, raking out the last few leaves that I chose to ignore in the fall…that sort of thing. It was the first warmish day we’d had in a while, so I didn’t mind spending a few hours getting the yard ready for the spring. But as I was cleaning up the leaves near our front door, I looked down and saw a $10 bill up laying up against the house. What? A $10 bill? What was that doing there? And this was a pretty weathered Sawbuck. It’d been there a while…in fact, I’d guess it’d been there all winter. So where did this $10 bill come from? I’m certainly not in the habit of losing money in the front yard. It looked like it had blown up into the corner near our porch along with some dead leaves. I’m still confused about this whole thing! When I was a kid, my sister and I went with my grandparents to Myrtle Beach, SC for a couple of nights. One morning, we were walking along the beach with my grandfather, and we started finding dollar bills washed up in the sand. These bills had been at sea for a while as a couple of them even had small barnacles on them. Using my finely tuned 8-year-old logic, I decided that these washed-up bills were clearly from a pirate ship that sunk somewhere off the coast. Clearly. Since upstate New York isn’t exactly close to the shore, I don’t think my pirate ship solution can explain the $10 bill in my front yard. Nope, this was definitely the work of ninjas. I mean, if it’s not pirates, then it’s gotta be ninjas, right? Or ghosts. It could have been ghosts, too. No matter where it came from, I quite happily put the money in my pocket and went about my work raking leaves. That is, after I poked around under the bushes to see if I could find any more money. I’m ready for the summer! Bring on the warm weather. The winter clean up is done. The birds have returned. The grill is out. All is good around here. I’m not sure why, but I’ve been on a Greek food kick lately. So the other night, I was planning on grilling up some chicken for dinner. I was trying to decide how to season the chicken when it hit me. Chicken Souvlaki is a classic Greek dish, although souvlaki is often seen with pork or lamb. And here’s the thing–chicken souvlaki is incredibly easy to make. These skewers feature the classic Greek combination of lemon, garlic and olive oil…and they’re quite tasty! But back to these delicious Chicken Souvlaki Skewers. I alternated the chicken with sliced zucchini. You could use all sorts of other veggies here, but we love grilling zucchini in the summer. While I could have eaten the chicken and zucchini by itself, the real star of these Chicken Souvlaki Skewers is the tzatziki dipping sauce. Chicken souvlaki without tzatziki is just grilled chicken. Delicious grilled chicken, mind you. But still just grilled chicken. This is my go-to tzatziki sauce, and my wife swears that she could eat it with a spoon. I haven’t challenged her on this yet, but I have zero doubt that she could. It’s a quick and easy sauce to make, and (like most sauces) it tastes better after it sits for a couple of hours. Enjoy! So how do you think that $10 bill ended up in my front yard? Pirates…ninjas…ghosts? More importantly, what should I do with my lucky windfall? Thread chicken and zucchini onto the skewers. 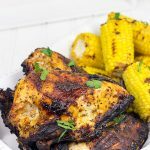 Place skewers on grill and cook for 9-10 minutes, flipping once, or until chicken is completely cooked. 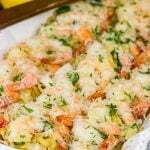 Add all of the ingredients (yogurt, sour cream, garlic, lemon juice, vinegar, dill, salt and pepper) and mix until well blended. As the Greek yogurt is a key ingredient in tzatziki sauce, splurge and buy a small container of premium Greek yogurt. We've tried the store brand before, and it just doesn't taste the same. Disclosure: This post was sponsored by Wilton Armetale, but the recipe and opinions are entirely my own. Haha – I love your 8 year old logic! It’s better than maybe the fact that it might have been one of your neighbors…in which case…you might have to go knocking to see which one happened to loose some $$ and if they cannot remember, well, guess you will be $10 richer… to buy more of these gorgeous Wilton platters and Grillware! 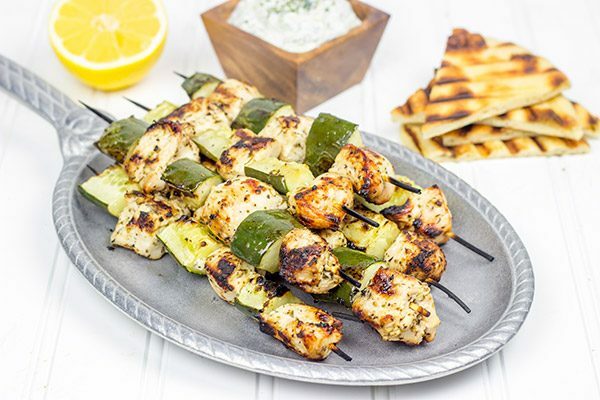 I’ve never made my own Tzatziki sauce before – but marinades with Greek yogurt make chicken so so delicious – and, I gotta agree – store brand Greek Yogurt somehow just doesn’t cut it! Hope y’all have a wonderful week – here’s hoping more $$ end up in yalls yard! Haha! Thanks so much, Shashi. I’ve decided that it was definitely a ghost behind that wayward $10 bill. There no other explanation. 🙂 Also, go make Tzatziki sauce today. It’s incredibly easy! It’s totally become a staple around here…I almost always seem to have a container in the fridge. Perfect for dipping bread or grilled chicken! haha, you crack me up!! definitely a gift from the ninja gods. . 😛 love that Sizzle Platter and these chicken skewers!!! love! Clearly it’s the ninjas! 🙂 Thank you so much, Alice! 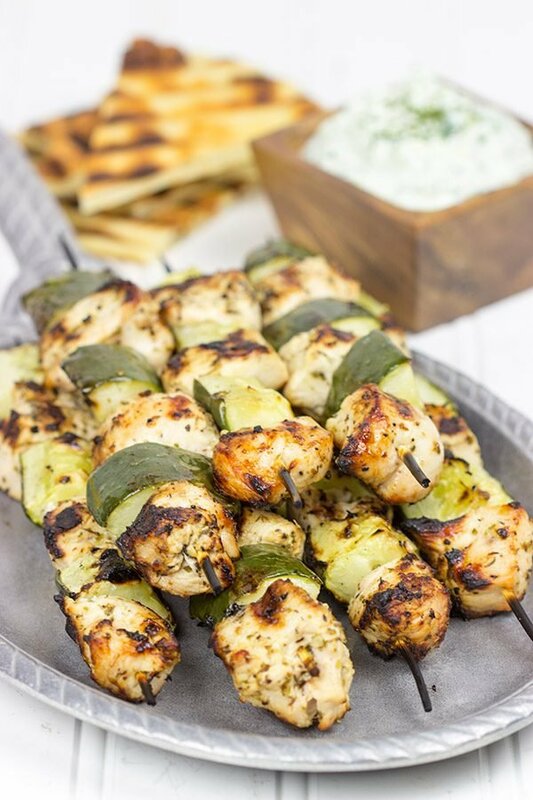 I love chicken souvlaki and zucchini… and tzatziki! So I obviously am in love with these skewers and dip combining three of my favorites! 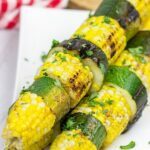 These skewers are a perfect way to celebrate grilling weather and I’ll be sure to fire some of these up! Thanks for sharing! P.S. You can send a money delivering ninja to my yard anytime you would like! mate, I would die for this right now- It was the last meal I had with mum before I came here (she totally claimed it was a Persian invention but no.). Also..you’re 8 year old mind correlates to your current mind 😉 With that $10, you should hightail it to Manhattan so we can um…buy oreos. 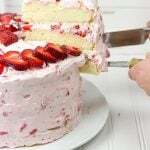 Cake batter style. Persians invented everything, Arman…I can’t believe you’d even question that! Like cake batter Oreos. Totally a Persian invention. Manhattan here I come…I need some Oreos!! I need that sizzle platter!! 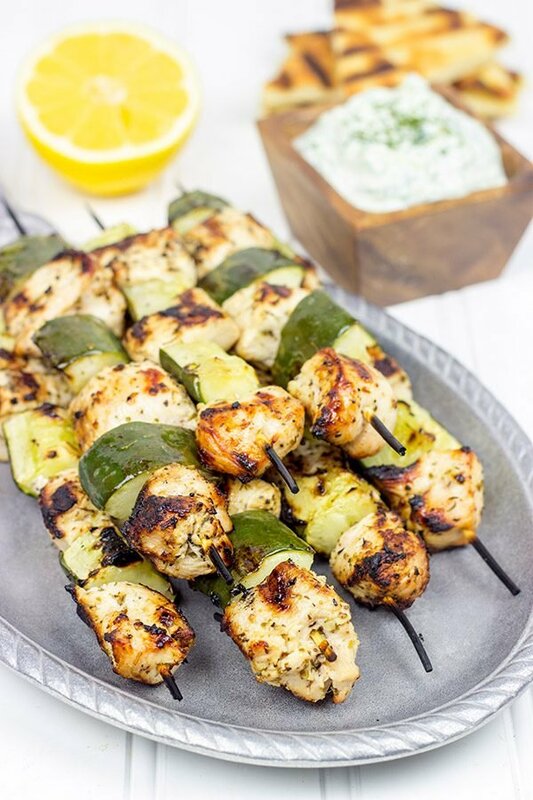 These skewers look delish! 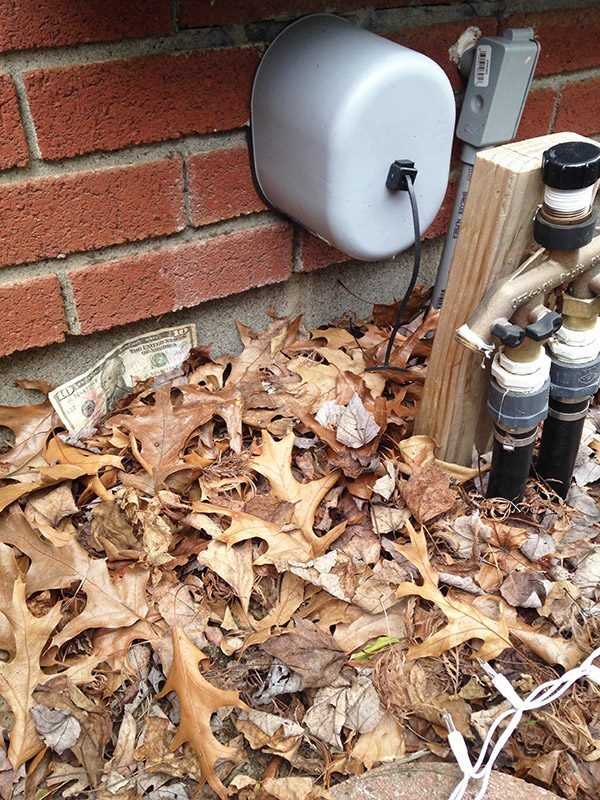 Funny thing- I found a 100$ bill in my front yard last summer. It was the strangest thing to find money laying around like that. I had no idea where it came from! What! A $100 bill? Geez, my ninja/ghost totally gave me the short end of the stick! Maybe there’s a recession in ghost land right now. Seriously, though, how does that happen?? Haha! Thank you so much, Sneha! 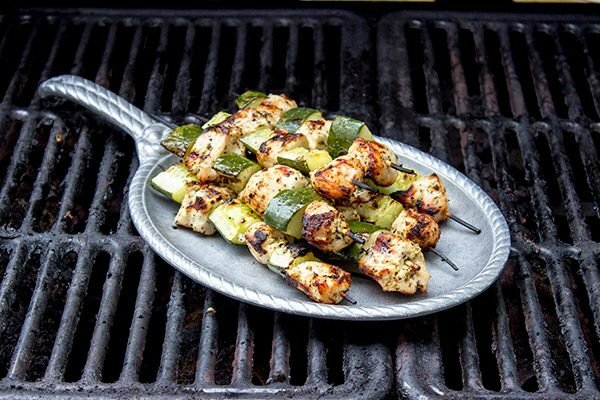 These skewers were a huge hit here in our house, and I suspect I’ll be making them quite often during the summer grilling season. 🙂 Thank you so much for commenting! Such a lovely story David! I’ve got one question – can I stop by your yard, just for fun? 🙂 It seemes to be a very opulent place haha! You’ve got delicious things going on your plate today! Great work! 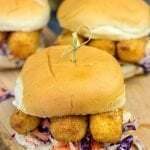 These look so light and delicious. It is reminding me of the first time I ate these when I was on the Greek island of Rhodes. I wish I was back there now. One of my readers – a lovely Dorothy – keeps talking about “David”. She is insisting that I MUST try “David’s Peanut Butter Cup Cake”. I believe I have found The David!!! Browsing your blog, I totally get why she is so enamoured with your food!! Hey there, Nagi! So nice to meet ya. 🙂 Dorothy is a real sweetheart…I absolutely love chatting with her about various recipes. That’s one of the best things about being a food blogger…all of the wonderful people you meet along the way. Speaking of meeting new people, I’m about to hop over and check out your site. Incoming!! Hey, who said anything about imagination here, Tamara? I really think it was pirates! Ok, maybe it was ghosts. Oh, and you totally need to try chicken souvlaki…it’s incredibly easy to prepare! And so incredibly delicious…but the tzatziki sauce is a requirement! I, too, found a $10 bill one time, about 15 years ago. I had been cleaning up the litter in my parents’ backyard and decided this was a sign that I should continue to do that. A reward, if you will. 🙂 So you finally took down your Christmas lights, huh? I laughed out loud at that. Then I actually went and checked the date on this post. 🙂 I suppose you guys have had a pretty rough winter! Glad it’s finally warming up for you. News from SoCal: I just purchased a new grill. I didn’t have one before. Thanks for giving me a First Recipe to make! Take care! Yes! New grill! This is the perfect weekend to break it in, Meggan. 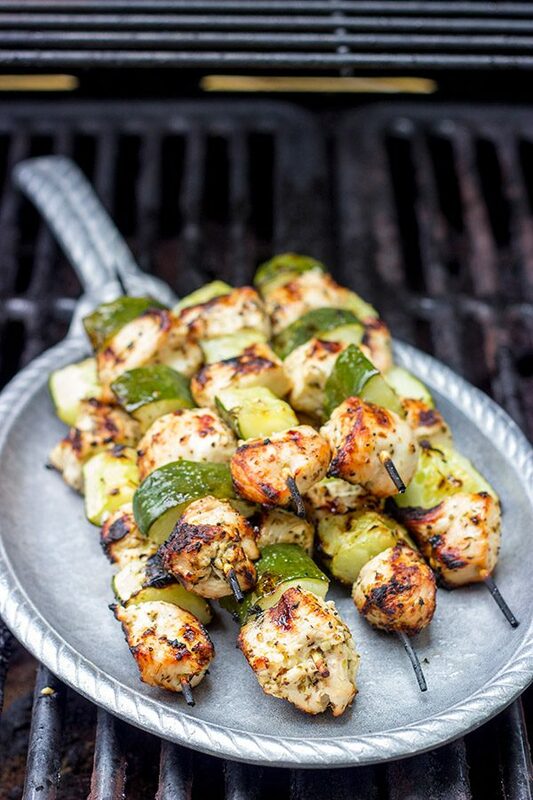 And these Chicken Souvlaki Skewers would be a pretty darned awesome way to kick off the summer grilling season. 🙂 But back to these Christmas lights. I swear we’re not those people who leave their lights on until like March. We turn them off after the holidays, but there is no way in heck I am climbing through 3-4 feet of snow just to unhook them from the gutter. Those bad boys can just hang out up there until it gets warm again! Now that you mention it, maybe Santa Claus left that $10 bill in my yard!! Hi David, I bookmarked this page to test the Tzatziki Sauce. I have used other Tzatziki recipes and was happy. 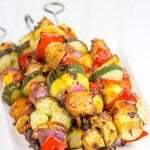 Since I was in the mood for chicken and veggies on skewers, I was drawn back to this site. The chicken turned out great (even though I got so inspired that I added some pineapple chunks, cherry tomatoes, onions and bell peppers) so I guess the outcome was not exactly “Souvlaki” but was darn good!. Anyhow, I wanted to tell you the Tzatziki Sauce was EXCELLENT!!! I hope I will be in your good graces when i tell you I followed the recipe exactly as written and love it. I’m tossing all the other Tzatziki recipes today! Thanks for your work and sharing. I will be checking out more of your site and subscribe to your emails. Have a great day! Hey Althea! Wow…thank you so much! We played with out Tzatziki Sauce recipe quite a bit before we were happy with it, but now I use it all the time. I really appreciate the complement. 🙂 And I’m loving your pineapple + tomato + onion + bell pepper addition to the skewers. That sounds pretty much like the perfect summer meal right there! Thank you, thank you, thank you for being a fan. It’s because of awesome people like you that I get to do this crazy job called food blogging. Don’t be a stranger if you’ve got a question or comment. Thanks again, and have a great week! Ha, I’m back David, almost 3 years later, huh?…doesn’t seem like 3 year!! If I remember correctly, I think I peeled mostly, leaving a few strips of green on cucumbers. I found squeezing cucumbers (or any other veggie I want to drain), between two bowls or plates the same size, removes most the liquid. Althea! Wow, what a blast from the past! How are you doing? And, yes, it doesn’t seem like 3 years at all…where does the time go?? 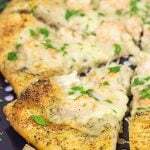 What an honor that you kept this Tzatziki Sauce recipe…it really is quite tasty! So to answer your question, I don’t peel the cucumbers first. When you’re grating them, some of the peel will end up in the bowl but some will kind of stay together in a big piece. I throw that piece away. Does this make sense? Oh, and great tip on squeezing between 2 bowls. I always use paper towels and press down, but it takes several rounds of that. I’ll try the bowl trick next time! Thanks again for stopping by…don’t be a stranger, my friend!